What is there about Barack Obama that begs for him to be compared to pop culture science fiction characters? As I noted in the first days of Obama’s presidency, a lot of people back then kept comparing him to the Vulcans of Star Trek, particularly Mr. Spock. This was because people saw him as logical, intelligent, emotionally controlled and very, very cool. As I noted on my movie blog, however, a much better comparison—at that point anyway—was with the character of Ambassador Kosh on the TV show Babylon 5. Kosh was a Vorlon, a member of a very old, very advanced race who kept himself hidden but when he revealed himself to inferior species (like humans) each observer perceived him as whatever religious figure (an angel for Christians, various prophets or deities for other believers) was significant to the observer. This seemed apt to me because, up until Obama’s ascension to the presidency and even for a while afterwards, lots of observers were intent on seeing what they wanted to see. Obama won the 2008 election by a pretty healthy margin, meaning that a lot of moderates and even some conservatives joined liberals in voting for him. In TV panel discussions, you could hear pundits arguing that candidate Obama was everything from a far-left radical to a centrist to even (by some anyway) a moderate conservative. Some observers noted that the candidate had an uncanny knack for speaking to groups, no matter how diverse in their opinions, and having every member in the audience leave thinking that he agreed with them. But now a different beloved TV icon screams out to be compared to the U.S. president—the title character from the venerable BBC series Doctor Who. If you haven’t been watching Doctor Who lately, here’s a quick update. As a prelude to last November’s 50th anniversary special, a new past incarnation of the Doctor was born in a seven-minute web episode called “The Night of the Doctor.” The time-and-space-faring Doctor has always been a hero who eschews violence and spends much of his time saving people—if not entire planets or galaxies or sometimes the whole universe. In “The Night of the Doctor,” however, we see the eighth iteration of the Doctor (played by Paul McGann) confronted with an out-of-control conflagration (the Time War) between the nihilistic Daleks and his home world of Gallifrey, which threatens to destroy the whole of reality. He comes to realize that his current incarnation is not of much use in this situation and elects to regenerate into a warrior known as the War Doctor (played by John Hurt). Those who are nervous about the U.S. again getting entangled in Middle East warfare can at least take comfort in the president’s assurances that there will be no U.S. “boots on the ground”—but only as long as they don’t think too much about the fact that this is the same leader who repeatedly said with complete authority that “if you like your health insurance you can keep it, period.” Lots of other people around him are saying that ISIL will not be defeated without boots on the ground. One thing the president is certainly speaking straightly about is how long this war can be expected to last. “Now, it will take time to eradicate a cancer like ISIL,” he said in his September 10 televised address, and the military has said the fight will go on for years. This means that in three or four years, if the war happens to be going badly, his successor will be able to brush off the political blow-back by dismissing the war as the mess she or he inherited. In the world of television fantasy, the War Doctor in the end wound up freezing Gallifrey and the Daleks in time and then regenerating into a new leather-jacket-wearing, northern England-accented Time Lord (played by Christopher Eccleston). If only the real world provided those sorts of deus ex machina solutions to national leaders who start out with all the best intentions. Needless to say, the recent vote in Scotland was watched with much interest in Ireland. And, in viewing and listening to the Irish media, one got the definite impression that many people here would have been happy to have a fellow independent Gaelic republic in the neighborhood. But it wasn’t to be. At least not in the near term. In discussions of the issue in our own house, my 14-year-old seemed perplexed to find herself asking the following question: when did Ireland get its independence? Was it on Easter 1916? If she was perplexed, it was because she has gone through nine years (so far) of the Irish educational system, so one would think this is something she would just know by now. After all, by comparison, is there any American high school student who couldn’t immediately reply “July 4, 1776” when asked the same question about U.S. independence? But the U.S. has made it easy for its citizens since the national holiday is actually called “the Fourth of July.” Ireland’s national holiday has no obvious connection to its independence but is instead a day assigned by a religion to the country’s patron saint, a fellow called Padraig, or Patrick. It wouldn’t surprise me to find that a sizeable portion of the Irish population—or at least members of the worldwide Irish diaspora—believe that the country threw off the yoke of British tyranny on Easter Sunday 1916. That event is certainly the one that looms largest in commemorations of modern Irish history and invoking of national unity. In fact, as popular revolts go, the Easter Rising was pretty much a failure. From what I read, it didn’t have much broad support among the populace. But things quickly changed when people saw how harshly the British reacted. Fifteen of the Rising’s leaders and others were executed by firing squad. (One who escaped was future Taoiseach [prime minister] and president Éamon de Valera, who was spared by virtue of his U.S. citizenship owed to his birth in New York.) If the Brits hadn’t come down so hard and brutally, it’s easy to imagine that Irish independence might have eventually been achieved with a lot less bloodshed all around. So when did Ireland get its independence? Was it on December 6, 1922, after the two-year War of Independence, when a treaty went into effect making the entire island of Ireland a self-governing British dominion called the Irish Free State (Saorstát Éireann)? Two days later six of the counties in Ulster province exercised their right under the treaty to opt back into the United Kingdom, and a bloody civil war ensued between forces supporting and opposing the treaty negotiated with Britain. Or did Ireland become fully independent in 1962 with the belated repeal of the Crown of Ireland Act? Or is it correct to say that the date of Ireland’s true independence is still in the future, since six counties on the island continue to be administered by the UK? The very posing of a simple question like “when did Ireland become independent” goes to show just how complex Irish history is. So how come my child, a product of the Irish educational system, had to ask her American father when Ireland got its independence? After all, I never went to school in Ireland. All I know is what I have learned from watching movies like Michael Collins and The Wind That Shakes the Barley. Actually, one could do worse than to watch those two movies to get an understanding of modern Ireland and how the country got to where it is today. Both films cover roughly the same historical events but from different political perspectives. Neil Jordan’s Michael Collins pretty much takes the Free State point of view, whereas Ken Loach’s The Wind That Shakes the Barley aligns with the republican anti-treaty perspective. In terms of history, those events are still pretty recent. If there is a hesitation to get into too much detail in teaching youngsters about the country’s independence, it probably represents a fear of stirring not-quite-dormant ashes. After all, didn’t the civil war flare up again in Ulster in the 1960s and not quiet down again until the 1990s? And there are still periodic eruptions of violence to this day. The death of Ian Paisley two weeks ago reminds us just how recent the Troubles still are. It also reminds us that it is much better to settle these issues at the ballot box, as Scotland has done, rather than by taking to the gun. The midterm elections are less than seven weeks away. And I’ve noticed something about the way they are being discussed in the media which astounds me. Of course, the press coverage is all about the horse race. Who is up and who is down in the polling? Will the Democrats manage to hold onto the Senate or will the Republicans take control of it? This sort of coverage is typical and to be expected. But what is extraordinary is that the American press that I read and listen to—a fair mixture of left and right, I think—completely discounts what the election may have to say about the will of the American people. In past elections, when the country has been severely and evenly divided, a looming election was seen as a verdict by the voters. Whichever party took majorities in Congress and/or won the White House was seen as having a mandate. On ABC, NBC, NPR, Fox or other outlets that I listen to, I do not hear anyone saying that the government will have a clearer idea of what the people want after the votes are counted. It is almost as if the reporting and commenting classes don’t think it matters any longer what the American people want. Everything is going to be decided by two political parties and what they can wrangle away from each other. In fact, on NPR I hear commentators explicitly say that they don’t expect the election to resolve or settle anything. Why is this? For one thing, nobody foresees a result that would break the gridlock in government. If Democrats retain the Senate, they will continue to ignore bills passed by the House and vice versa. If Republicans take the Senate, bills may get passed out of Congress but, unless they are totally innocuous, they will get vetoed by the president. We have branches of government whose priorities are so out of sync with each other that they have completely lost the habit of negotiating or compromising. What makes this really amazing is that the two houses of Congress and the president were all elected by pretty much the same voters. American voters turned the entire government over to Democrats in 2008, then very decidedly flipped the House two years later. That would suggest a shift to the right, but then the country voted to give the president four more years in 2012. The president is not on the ballot this year, but a third of the Senate is. If Republicans take a majority, should that not be seen as a mandate? It clearly won’t be—at least by the White House, which can be expected to continue its own agenda through executive powers and by killing congressional legislation it doesn’t like. Are the voters politically schizophrenic or what? The best explanation for the mixed messages in congressional and presidential elections is population distribution. District elections tend to favor rural residents who tend to be more conservative. Nationwide votes tend to favor urban dwellers who trend more leftward. Furthermore, incumbents—whether they work on Capitol Hill or in the White House—enjoy huge advantages when up for re-election, which further skews the way the populace expresses its wishes. But the most fundamental—and dangerous—reason that congressional elections are treated increasingly as near-irrelevant is that Congress’s power has eroded. As I discussed nearly a year ago when I talked about “zombie spending,” the federal government has grown so large and complex that members of Congress do not actually vote on funding or extending the government’s myriad components. It’s all too complicated anymore for that. Instead, at budget time members of Congress are given a binary (yes or no, up or down) choice: continue existing funding for everything with automatic increases or else shut down the government. In other words, there’s not really any choice at all. The result is that there is really no reason for the executive branch and the legislative branch to negotiate over funding. And in non-funding areas, the executive branch has been more prone to effect changes by executive orders and department regulations. And in the case of waging war, that battleship sailed decades ago. No president has bothered to get a declaration of war from Congress, as required by the Constitution, since World War II. So maybe all the commentators are correct when they keep saying that the election won’t resolve anything and that it won’t change anything. What the voters have to say about who wins the congressional elections just doesn’t matter much. That’s because, increasingly, Congress just doesn’t matter much. 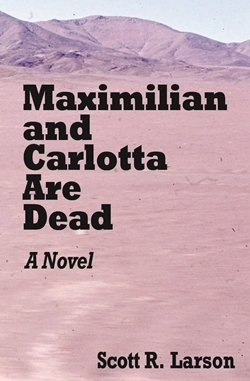 I am excited to announce that my novel Maximilian and Carlotta Are Dead is now available in paperback. 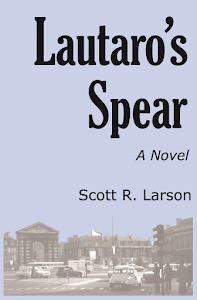 Along with a new format, the book has a new cover. It was released in Amazon’s Kindle Store in June where, until recently, it was sold exclusively. It is now available in paperback at Amazon and at Barnes and Noble. It is also now available in EPUB digital book format from Barnes and Noble’s NOOK Store, Google Play and Kobo Books. And it continues to be available from Amazon’s Kindle Store.